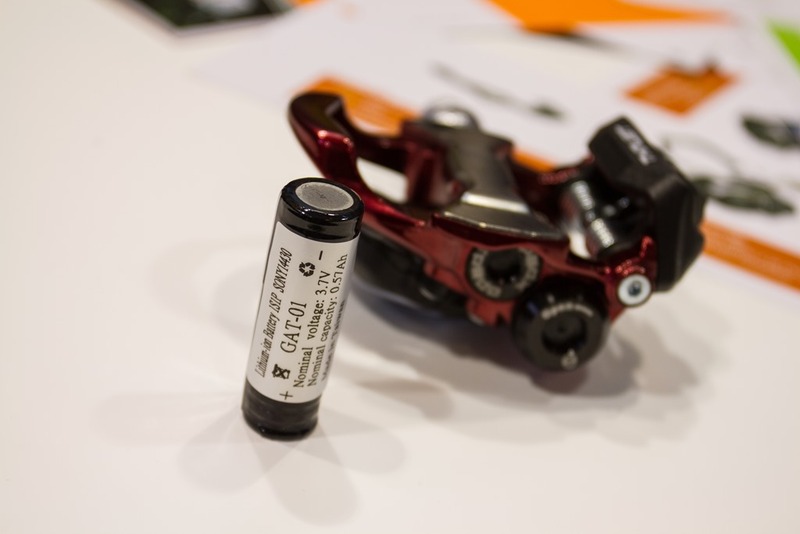 Of course, there are many power meter companies at Eurobike that didn’t have any specific major news pieces to share, but rather more minor announcements. You’ll find these all down below (or just use the little sidebar navigation pop-out). Do note however, that there are further companies with announcements yet to come at Interbike or where they were not showing at Eurobike. For example, I’d expect something at Interbike from Brim Brothers since they have an actual booth there. 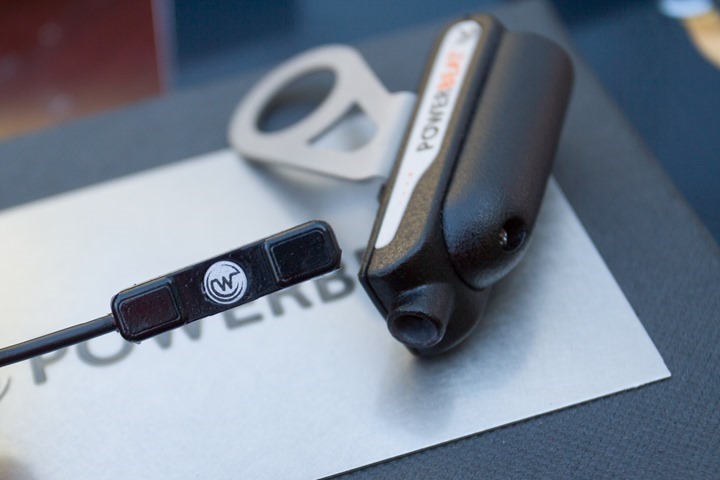 And also note that some power meter companies simply don’t have any new power meter news. For example, Pioneer did their major announcements back at the beginning of summer – so things are pretty much covered there. Same goes for ROTOR in July with their ROTOR LT units. Do note that what you see above isn’t a final production unit, so it’s not quite as sharp/crisp in terms of material finish, etc… That’s the norm for most of the prototypes I see. 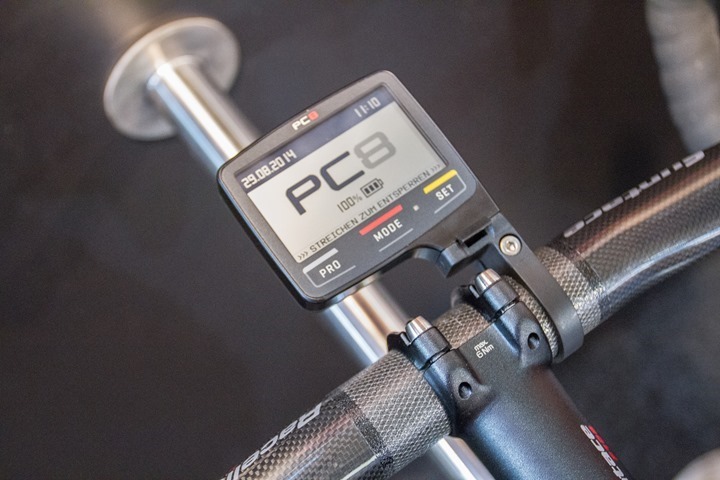 Last year at Eurobike SRM announced their PC8 bike computer, along with timelines for earlier this spring. Unfortunately, that’s slid a wee bit, and the current date is now December. I asked them today how firm that date was, and they replied that it was ‘concrete’. Hopefully it’ll hold. In discussing the delays with them, they noted that the majority were attributed to implementing industry standard .FIT file support from the unit, enabling it to easily interface with most apps on the market. 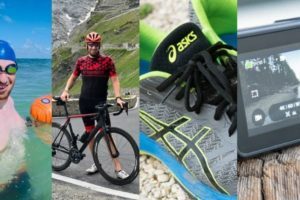 Additionally, they’ve also added in direct Strava support (as well as previously announcing Training Peaks), both of which occur when paired to the iOS or Android apps. The iOS app will be released at the same time in December, but the Android app will lag a bit. At present it doesn’t sound like any features discussed last year were cut over the past year. The unit will indeed work with non-SRM power meters and ANT+ sensors, as well as all Bluetooth Smart standard sensors except the power meter (that may come later). The current price upon arrival in December is 850€. He noted that the US pricing would be based on currency Exchange rate, but that puts it at just over $1,000US. I’m working to validate that with the US folks though, so hang tight there just in case. (Update: I’ve confirmed with the US folks that the US price will be $850US. So not over $1,000). SRAM’s Quarq was at the show and brought with them new products – the Quarq Elsa RS and XX1. The Elsa RS will maintain the same $1,600US price point, and is available/shipping immediately. 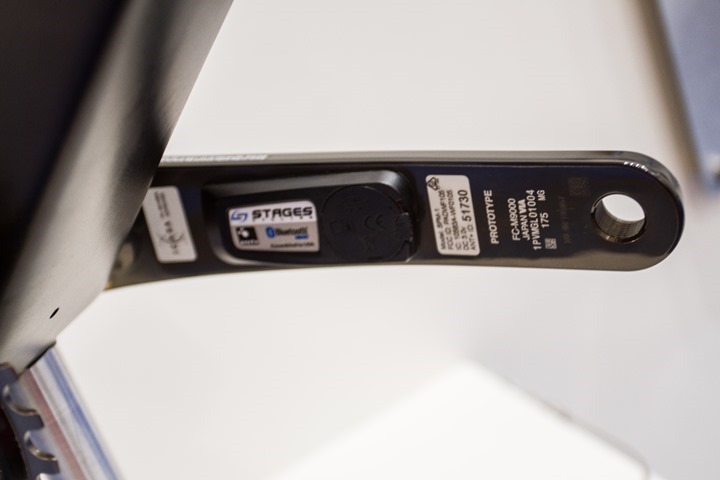 Additionally, the XX1 is now available as well at $1,500US, which is their mountain bike focused power meter designed for X-SYNC that’s including all of the same technology that the new RS has. While the unit ships with 32T and 34T X-SYNC chain rings, you can use their Qalvin app to simply reconfigure them for 36T and 38T chain rings. The new RS (and XX1) builds upon the existing Elsa by adding in multipoint active temperature compensation, as well as slightly increasing the waterproof rating to IPX7 (30 minutes underwater at 1 meter deep). Submersion deeper and for longer than that is generally indicative of greater issues for the rider. The multipoint compensation is Quarq’s process whereby they take a unit into a chamber and more accurately map how it responds to temperature shifts. They do this from 0°F to 130°F, recording about 10,000 data points along the way. From this, they then apply a compensation map based on temperature data at each pedal stroke. Below shows how a unit reacted before and afterwards. Note, this is NOT watts, but rather a much smaller factor that’s used in calculation of watts. Along the bottom you see the temperature range and how it’s better able to keep things stable. This is active temperature compensation versus the passive temperature compensation they’ve had in the past. Which means that the unit will actively check the temperature each rotation and then compensate for temperature changes accordingly. Versus before it was at a silicon level and making assumptions on how it will react. 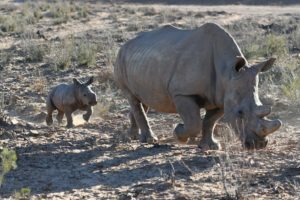 They did point out though that they have additional algorithms layered in to provide protection against a rogue temperature data measurement point. Currently, only the Elsa RS and the XX1 (seen below) have been run through the temperature compensation algorithms. Though, Quarq did note that they are working through the details of a program that would allow customers to send their units in to get the 10K temperature compensation (likely as part of a greater tune-up program). Down the road they will also be adding in support to their Qalvin app to see status there. 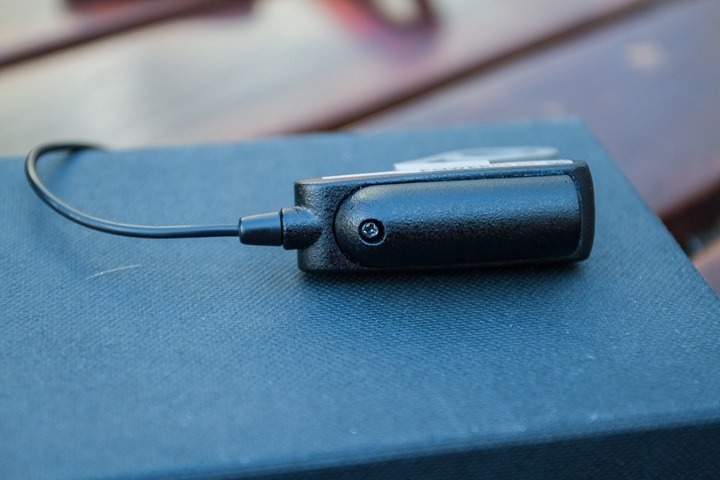 In addition to the temperature compensation, they also discussed a bit more about their new magnetless cadence option that was just recently rolled out to existing units. 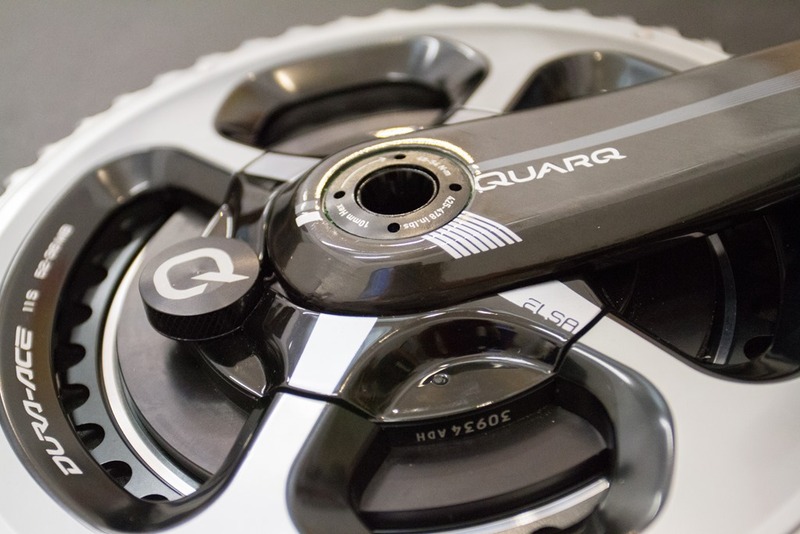 This change allows you to run without a magnet on your Quarq. Previously, if the magnet fell off or was otherwise inoperative, so was your Quarq. No magnet, no power and no cadence. That’s because the Quarq used the magnet to determine revolutions and in turn calculate power. Now however, you can run with or without a magnet. Running with a magnet is still the most accurate method, but really only in extreme edge cases. For example, they said that about the only place you’d see potential issues with the magnetless option is the rumble strips on the side of the road (which pretty much hose up any accelerometer based power meter). But for cobbles, mountain biking and all the rest – you’re fine sans-magnet. It’s designed for cadence up to 160RPM, which is about where most of the units on the market can go (accelerometer based). The update has been in testing for over a year now. 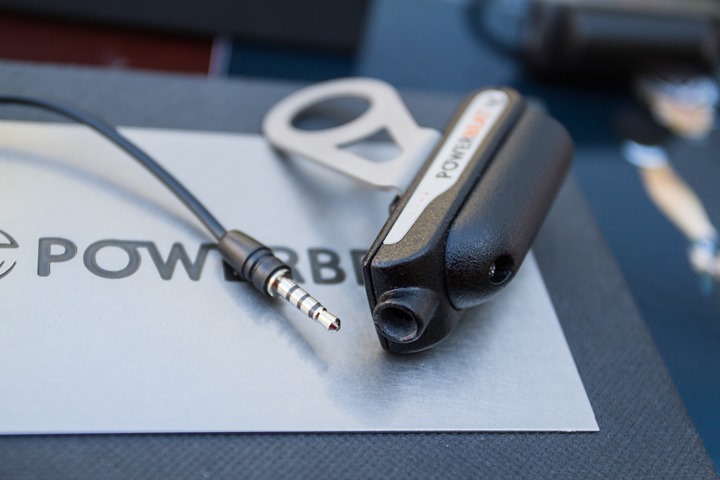 One Quarq employee had used it last year in Ironman Kona, and over the past year many of their pro riders – both mountain bike and road/tri – had been using it without issue. 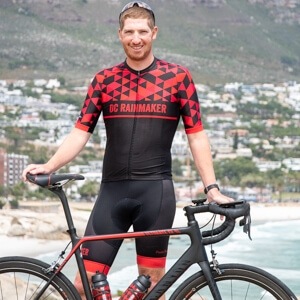 In some ways it’s easy to criticize Quarq on being a bit slower in some technology areas, but I think there’s also something to be said for spending a year on testing and validation – versus rushing it out there and hoping for the best. You can grab the update using their Qalvin app, which is supported on a number of platforms. 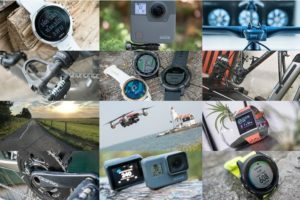 You’ll need an ANT+ stick, either from a Garmin Forerunner or elsewhere. If you’re a cyclist, just go find one of your runner friends to borrow theirs. If you’re a runner and don’t have one, find your triathlete friend. If none of your friends have one, consider making additional friends. Next up we’ve got the Verve Infocrank. 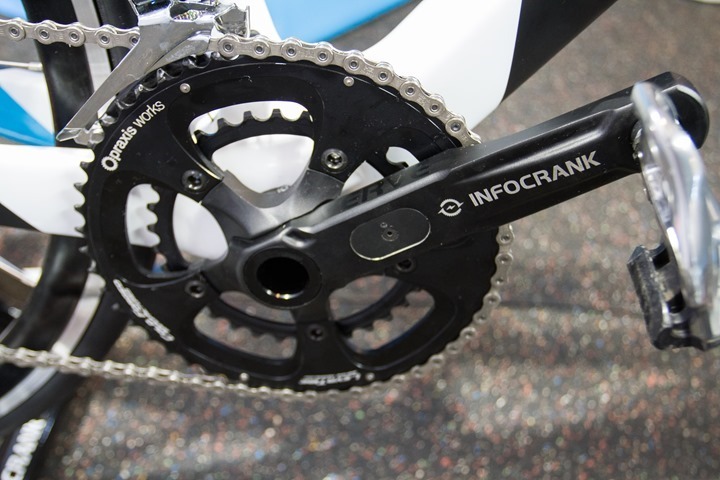 This recent Australian entrant onto the power meter market offers a completely integrated system whereby the crank arms themselves hold the strain gauges internal to it. There’s only a slight bump on the back for the communications transmitter (ANT+). 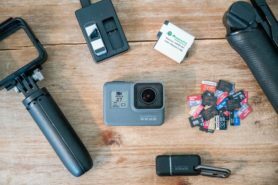 The unit is a bit more pricey than others on the market (except SRM) starting around $1,750US, but Verve believes that their higher accuracy level will differentiate it from the market. They’ve noted they’ve expended significant time and effort to virtually eliminate variation that can be found when trying to compare different power meters from different riders installed on different bikes. Of course, if one were to talk to any power meter company they’d say the same thing. In many ways the proof will be in the pudding, or, rather, the power meter numbers. I have a unit that arrived at my doorstep back earlier this week, so it’ll be joining an ever expanding fleet of other power meters I’ll be running through tests on in the coming months. Next we have the Xpedo Thrust E power meter. This unit has been around the block a number of times as far as trade shows go for a few years now. It almost always seems to be almost ready for release. That was the same case this time, where the unit is now scheduled for “Christmas time”, which for those unfamiliar is December. 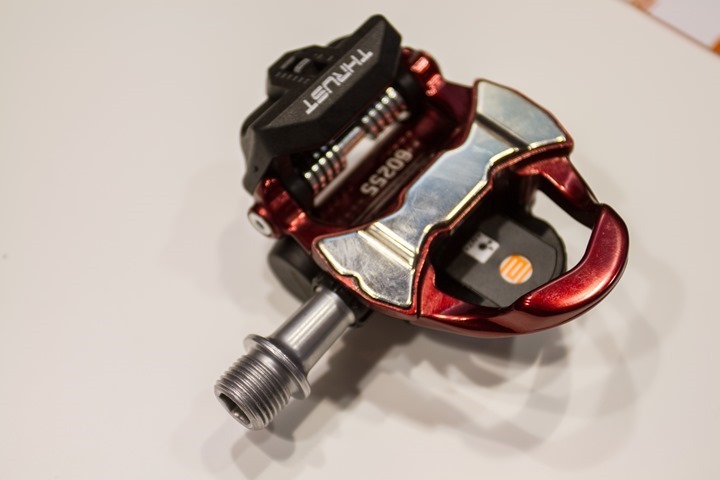 As for the unit itself, it’s a pedal based power meter where all components are included within the pedal body. 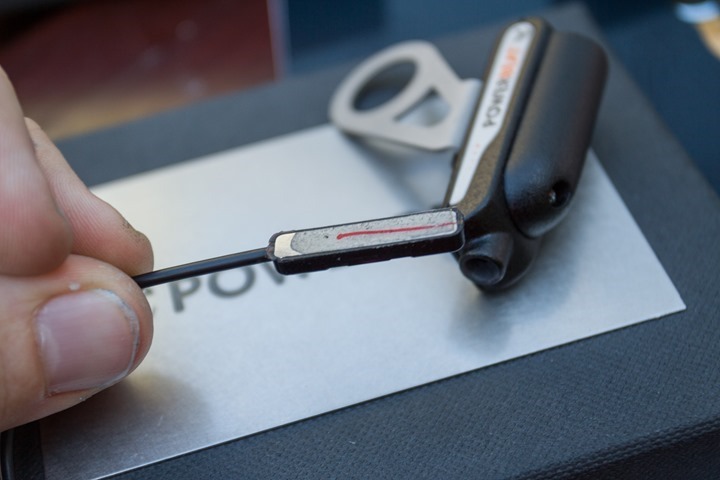 This is different from other pedal based power meters such as Garmin’s Vector and Polar’s offering as those require separate pods that hang off the side of the crank arms. In the case of the Thrust, it operates via ANT+ and sends out standard left/right metrics from your corresponding left or right pedal. 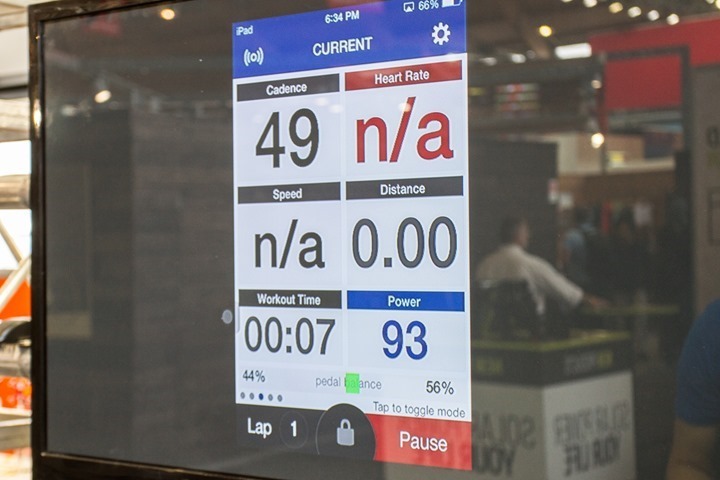 Those metrics can be viewed on compatible head units – like a Garmin Edge – or on apps that support ANT+, such as the Wahoo Fitness App with an adapter. At the bottom you’ll notice the pedal balance being displayed for the rider at the time (44%/56%). Flipping the unit over you’ll see the little door to access the battery compartment (says ‘Open’). You just use a hex wrench to remove the rechargeable battery. The unit uses a proprietary battery that kinda looks like a AA battery. It gets 120 hours of use before you need to remove it and put it in the charging cradle for a few hours to charge back up again. As noted, it’s a complete pedal system. At this point they don’t have any plans to sell a single-sided version like a number of other companies have announced recently. On the flip side, the full system comes in at $1,100US – so it sits about halfway in between left-only systems and full left/right systems. Of course, the real question here isn’t so much price – but whether or not they make the current projected date along with Santa and his eight tiny reindeer. Moving over to what I suspect at this point is the largest seller of power meters in the market (by moving volume today), we’ve got a few minor announcements from Stages. 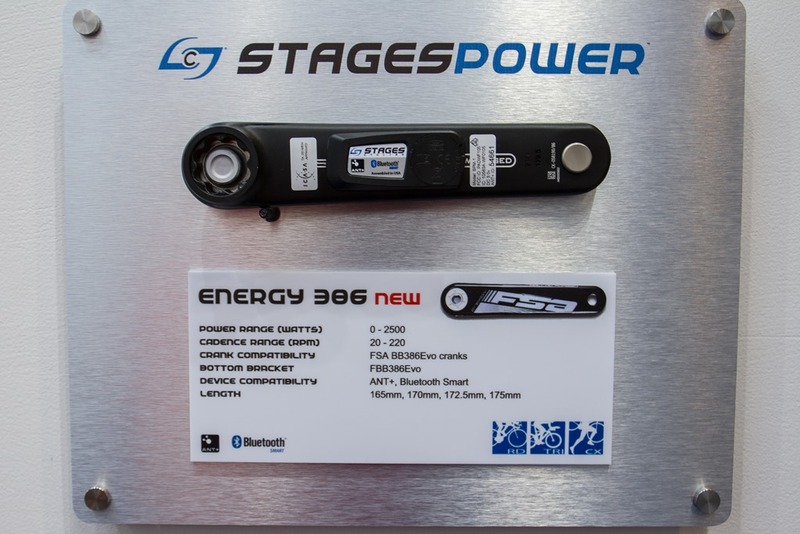 First up on the road side they’ve announced two new units – the, the FSA BB386Evo Energy 386. This unit uses the FSA BB386Evo cranks and corresponding bottom bracket. Said bottom bracket has quickly reached favored nation status by just about all the power meter companies due to it’s incredibly wide compatibility with existing bottom brackets. 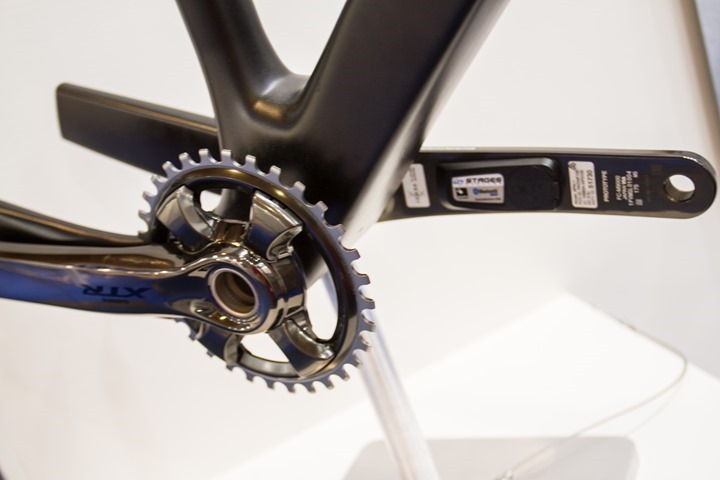 They’ve also refreshed the Shimano 105 5800 lineup for Hollowtech II road cranks. Both this and the previous unit cost the baseline $699USD/EUR. Other currencies will vary of course. On that note, that they’ve just started shipping in South Africa. I thought it was interesting that their signage notes the power and cadence ranges. You know, just so you won’t be too disappointed if you typically put out 2,600w and 230RPM and pickup a Stages PM to find problems. It’s always my problem too….every time. Next, looking at the mountain bike side they’re working on M920 and M9000 crank arms there for the XTR series. The hope is to have these available in the February/March timeframe. And finally, for those asking about ROTOR cranks, they remain willing and and more than ready to offer them…pending ROTOR agreeing to such (they require agreement from the crank arm manufacturer for supportability reasons). In other words, the holdup is totally in ROTOR’s camp at this point. 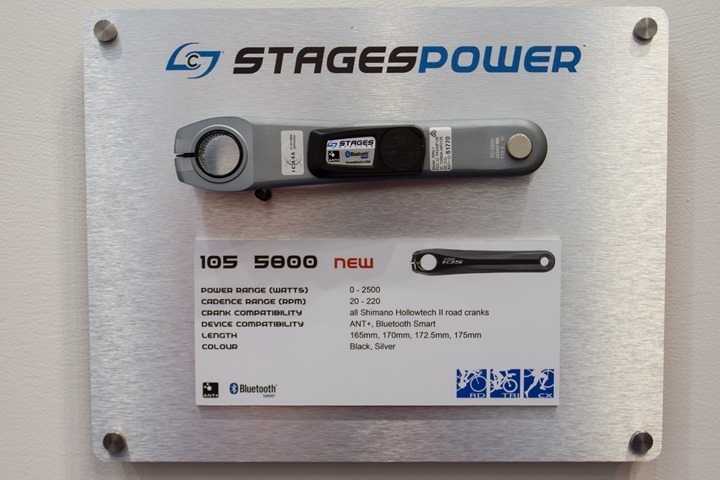 Last but not least, we’ll end with one company that had a semi-perpetual presence of power meter parts at Eurobike the last few years. They’d previously discussed making a sub-$1,000US power meter with left-right power, and inclusion of a head unit. This year however, their little display of power meter parts was not to be found. In my discussions with them, the project has been shelved with no further plans to pursue it. They said that they simply couldn’t get the costs where they wanted to be to have it make business sense. So I suppose where one company’s efforts dies, another is born (the many above). 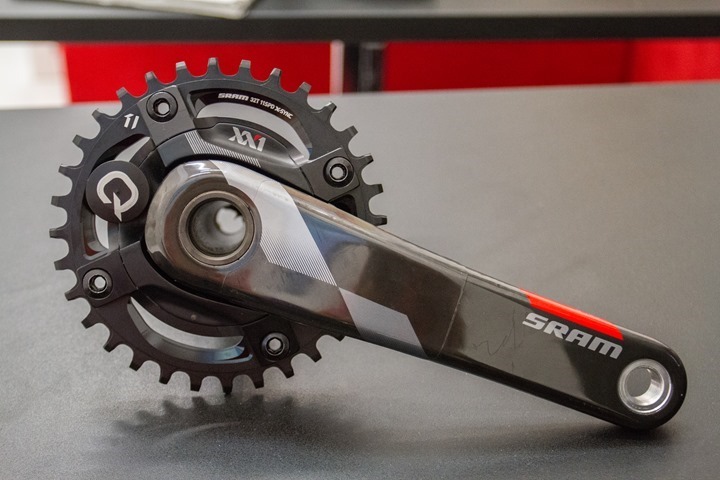 Did stages mention anything about adding a SRAM bb30 crank to their stable? Seems odd to me that such common crank/bottom bracket combo out there would be ignored. I would be interested to see how a stages vs vector s compare side by side. 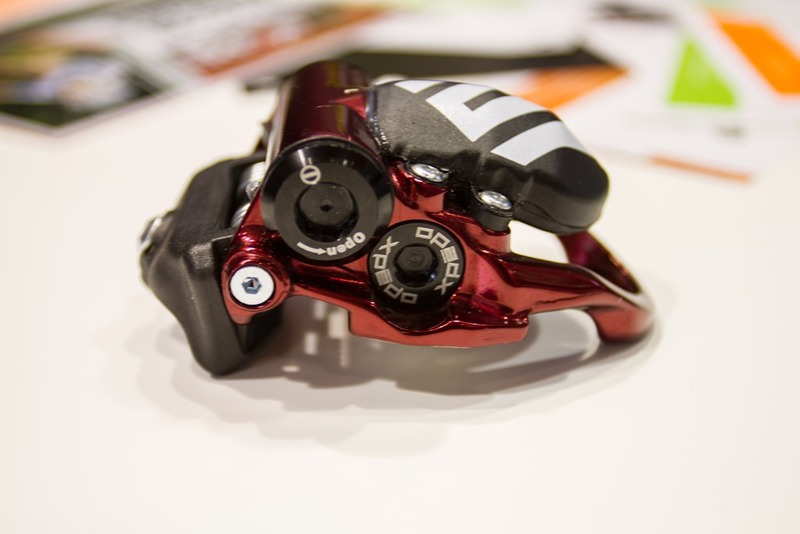 SRAM BB30 cranks don’t just have a left hand crank though – they include the BB spindle which may (or may not) make adapting the cranks more problematical? The Stages unit needs to be attached to a flat surface and the new rival 22 bb30 is hollowed out on the inside.apparently they are working on it.stages at this stage only available on alloy.so that eliminates the force and red. 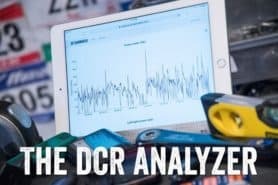 $1000 for a bike computer? Honestly, I stopped reading the powerbeat section after hearing the words balloon and fill line. I would rather pay more money to get a viable product. Thanks for the good post again! Is the new 105 Stages allready available? 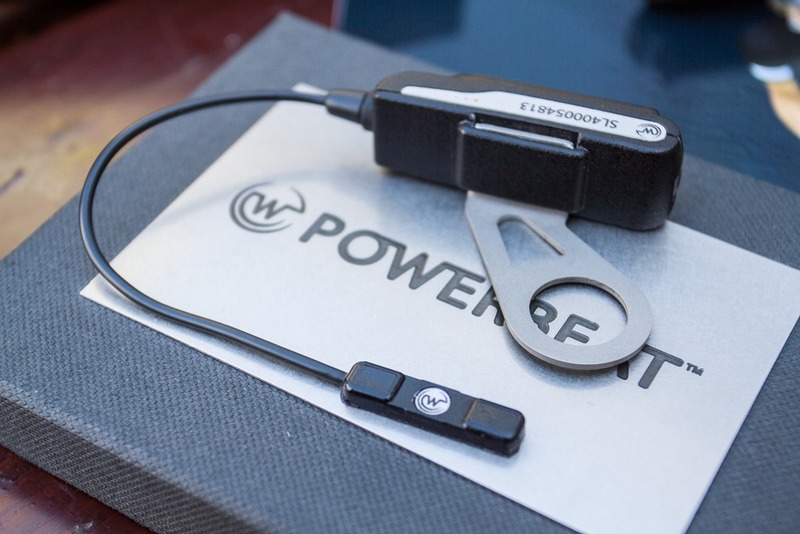 The powerbeat calibration might not be as mad as it sounds. If you have a small calibration mass provided (100grams say) you could potentially use your electronic kitchen scales. 1) weigh calibration mass note measurement and remove 2) weigh water filled mass to marked line take note but leave on scales 3) add calibration mass back on and take note. 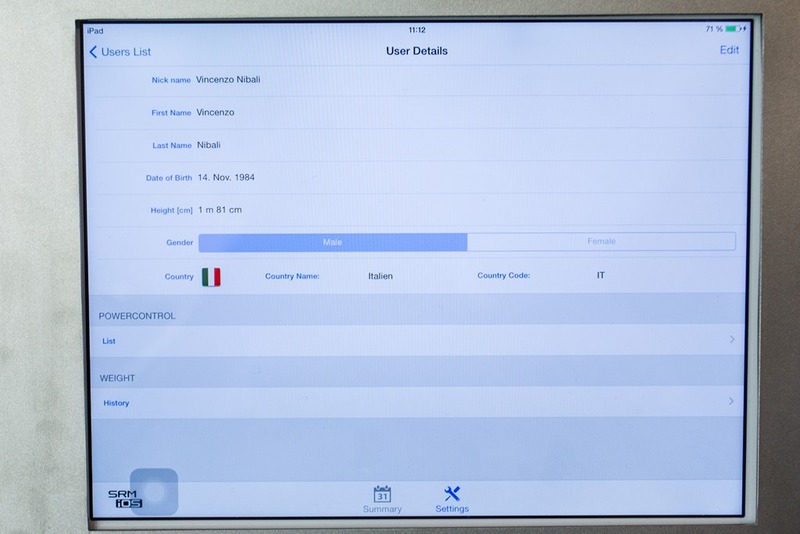 You could then enter all three numbers into the calibration app if the accuracy of the kitchen scales falls outside of those required it won’t calibrate. If they could prove something like this is accurate and repeatable and saves me several 100 dollars I’m up for it. They’re supposed to be at Interlake. I’m eager to see if they have a viable product launch too. Say what you want about Watteam but their willingness to let Ray try it out now means they’re fairly confident. The other option is they’re putting up a massive poker face, but I can’t see how that wouldn’t backfire in the most horrible way. That said, it seems obvious to me they’re not going to provide the same level of performance (either as accuracy and/or consistency) as competitors, but as long as they’re close enough, it might not be a huge problem at the price point they’ve picked. “been a ton _of_ skepticis” not “been a ton if skepticism”? Yeah, that’s the piece that they’re working out as part of some sort of send-in-your-unit program. Speaking of Pioneer, could you give any clues as to where in your massive queue this is? It looks pretty good on paper, but I’m very interested in how it performs in real-life. It’s closer than further. I had the Gen1 unit until I think July, and then they swapped it out for a newer unit (v2) with a new head unit. Cool. You mean you had issues with the rotor pm our Pioneer? Sorry, just not completely clear from your reply. 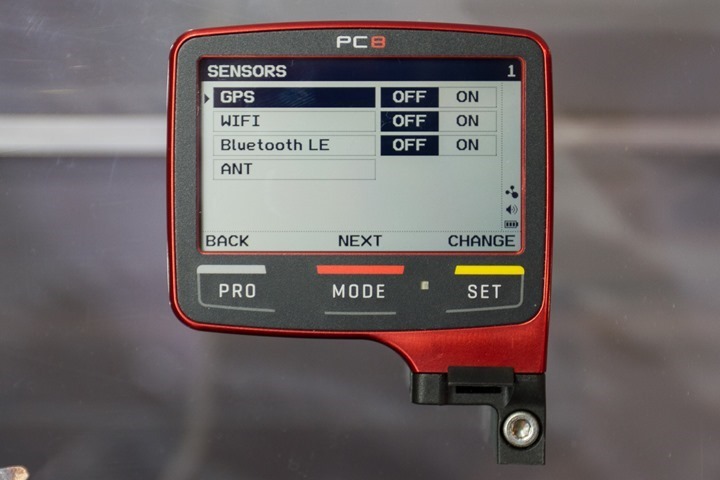 Nothing on the Pioneer Pedalling Monitor Sensor? 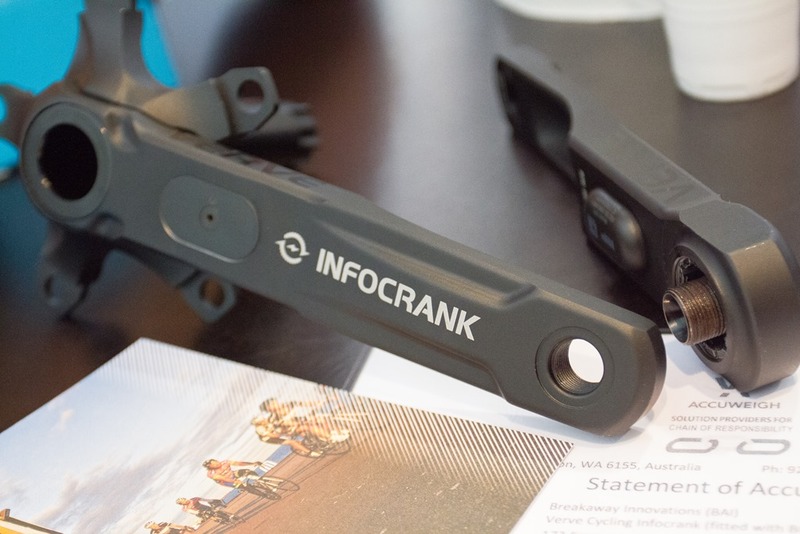 Stages could run away with this market if they offered to mount the sensor on your own crank arm for you, rather than forcing you to purchase a new crank to replace a perfectly good crank. 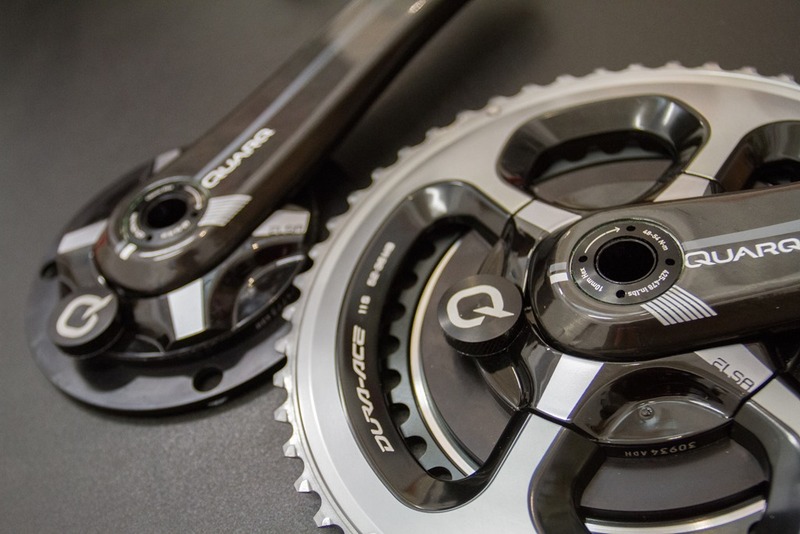 I want to spend money on a power meter, not a crank that I already have. Honestly? Thanks but no thanks. I would have to remove the crankarm, pack it up, send it over, then wait for it to come back – it’s a lot more work and wasted time than just ordering the crankarm off the shelf, and in the meanwhile I wouldn’t be able to use the bike. Since they would be still be using the same process to install and calibrate the thing, I doubt that would save the end user a lot of money. Send the cranks away in the offseason. Duh. To expand: the actual cost of the crankarm is likely a small portion of the price the end user is paying since Stages is buying them direct from the manufacturer (and probably in bulk) if you’ve ever had a chance to see what’s the difference in price between an OEM part and an (absolutely identical) part meant for retail that might give you a clue. 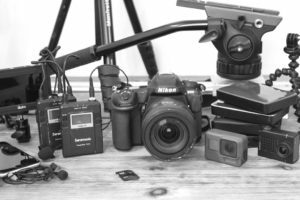 As discussed before on this blog, the main driver is the build/install/calibrate process. 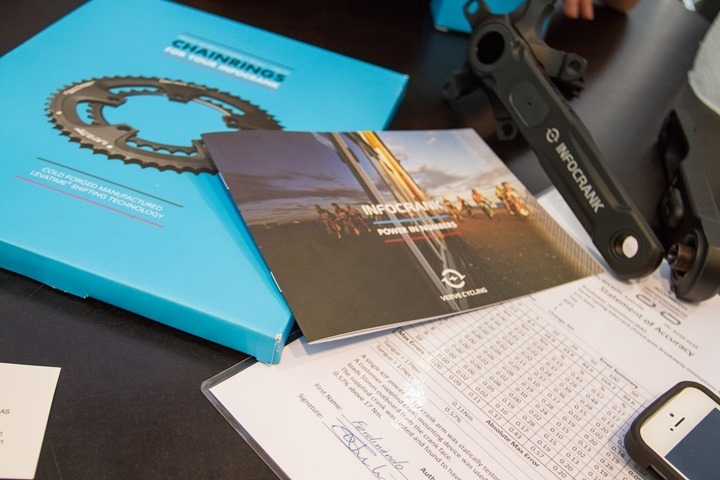 By sending in your own crankarm you would not be streamlining/reducing the cost of this process – actually, you would increase its complexity. To that, add the annoyance of having to send in your own crankarm and if one day you want to get rid of the bike, the Stages would have to go too, because there would be no crankarm to put back on. The other advantage of buying the Stages meter pre-installed on the crank arm is that it is easier to return for a refund when it doesn’t work worth a darn. Mine generated unstable cadence data (and therefore bad power data) at high rpm. Maybe acceptable for triathletes on the road, but useless for sprinters on the track. Great Work, and and fantastic Website. I have campy Record on my R3 Cervelo. What are my choices, without proffering and Arm and A Leg for a Power Meter and Screen? Thanks .Love your Work and reviews…Awesome.. 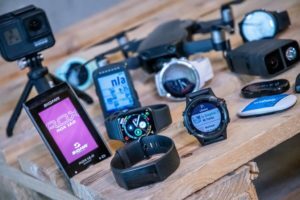 Interesting information on the Watteam PowerBeat. So it’s strain gauge based? Also, can someone (Ray?) verify reports I’ve read elsewhere that PowerBeat is developed in Israel and that Watteam have a significant presence in Israel? 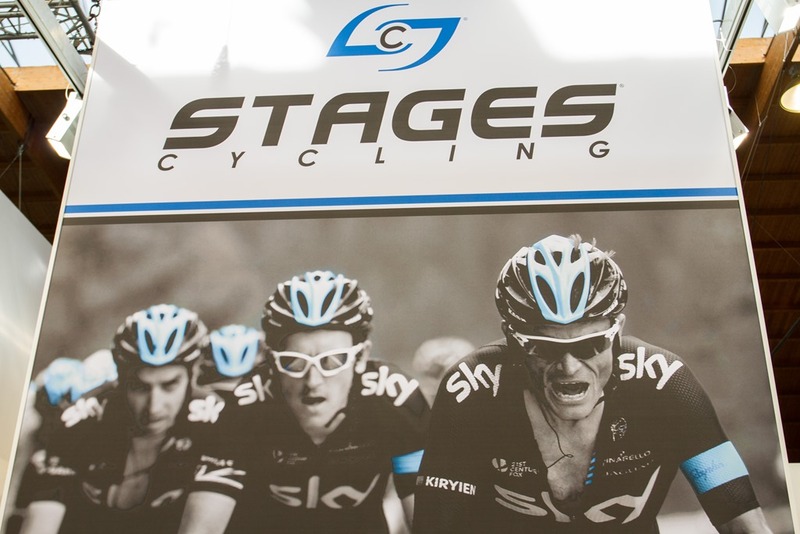 Any idea if Stages has anything else for Interbike? I heard they had a new product announcement and their new stuff for Eurobike does not seem very big. They don’t plan any further announcements at Interbike. You mentioned in the past you would be looking at the iBike Newton. 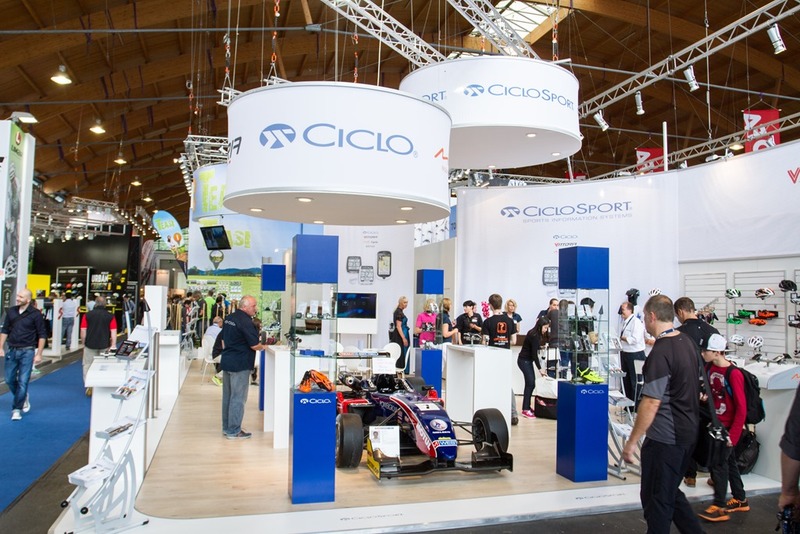 Did you stop by iBike at Eurobike? No, I didn’t catch it there. No, I didn’t catch it there. I’ll see if I can arrange something for Interbike though. At the price point PowerBeat is I can accept a slightly less accurate reading given my ability level. 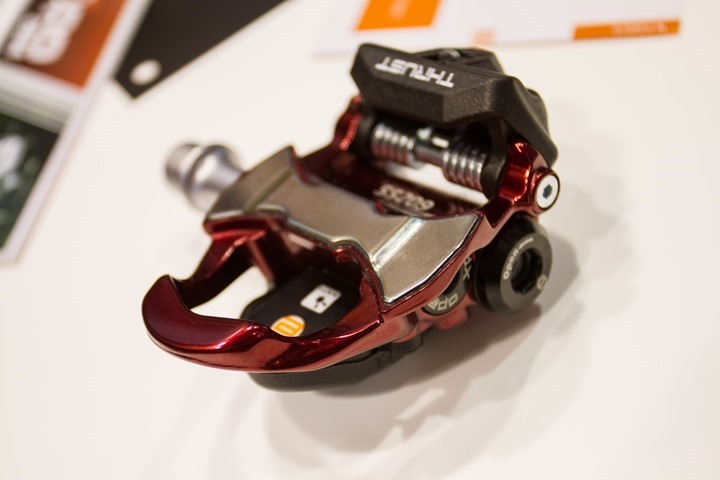 I’m really interested to see Ray compare this installed on a bike alongside a powertap and compare across a variety of different tests – longer rides, accelerations, sprints, hills, out of the saddle, If it’s there or thereabouts then I could be on board. Brim Brothers may just have lost out as I suspect their price won’t compare. If they are going to go the route of using a water balloon with a fill line, why don’t they put two fill lines on there so they can have multiple calibration points. You can’t make a line, let alone a curve, from a graph that only has a single point. They have two points. Zero (with no balloon) and whatever they measure with the balloon hanging. The question is, is that good enough? Will it be accurate enough for someone like me, who doesn’t have a power meter because I can’t justify spending that much money to know one number, to think about getting one because of the lower price? Judging from Strava’s attempts to estimate power from HR and GPS data, power is something that really needs to be measured. AFAICT Strava does not use HR at all to estimate power, the algorithm is based simply on speed and elevation and applies a smoothing filter on top of the results. I have hacked a python script that does more or less the same thing and the results are pretty close to those you get from Strava. Estimation is pretty much in the ballpark, the only things it does not account for are wind and drafting, for a solo ride that starts and ends in the same place, the average/NP etc are pretty close. You won’t have per segment accurate data though, unless you’re doing steep-ish climbs where the wind/drafting effects become small to negligible. Ray basically acknowledged this fact in the PowerCal review, pointing out that the advantage of something like the PowerCal over simple HR is that you have the power number on your computer’s screen instead of figuring them out after the fact. Just as a quick follow-up, the SRM folks got back to me on the price of the PC8. It will be $850US, and not using the currency exchange rate which previously put it at over $1,000US. The Watteam powerbeat has serious potential. The calibration concept sounds as good as any. And if need be they can easily include a temperature sensor on the unit and have you you calibrate it at multiple temperatures. Any update on the Verve InfoCrank testing? Ray have you had any news on the Xpedo Power pedals? I thought they were planning a 2014 Christmas release but its gone very quiet (again)! Thanks for the email and interests in our products. The THRUST E will start shipping in end of March. So essentially more of the usual “we’re only 1-2 months away!” that’s been the case for a few years now. I’m just wondering…how far away is your review of the Infocrank? Does it have a feature comparable to Garmin’s cycling dynamics or Pioneer’s pedal stroke efficiency? 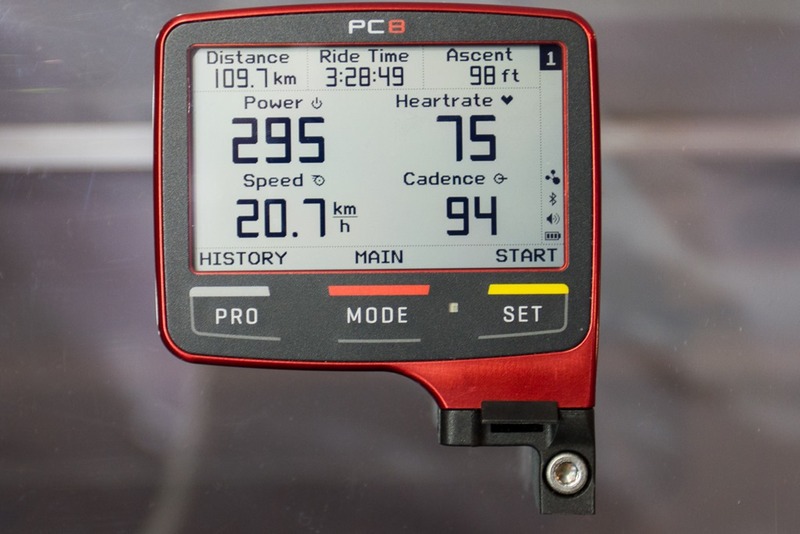 I can’t find any references to such feature for this power meter. Hi Ray – when do you expect to complete your testing of the Infocrank? Am keen to see that.